For their pioneering discoveries in chemistry and parasitology, and personal commitments to translate these into effective chemotherapeutic and vaccine-based approaches to control malaria - their collective work will impact millions of lives globally particularly in the developing countries. Tu Youyou is currently a Professor and Director of Qinghaosu Research Center at Institute of Chinese Materia Medica, China Academy of Chinese Medical Sciences. Tu joined the Institute of Chinese Materia Medica (ICMM), China Academy of Traditional Chinese Medicine (CATCM) (renamed China Academy of Chinese Medical Sciences, CACMS in 2005) in 1955 after graduation from School of Pharmacy, Beijing Medical College (1951 – 1955). She late attended a two and half year course on the traditional Chinese medicine (TCM) (1959-1962) - an in depth training specifically designed and offered to the graduates with Western medical background. Over more than forty years, Tu has been working in the institute as a research assistant, assistant professor, associate professor, professor and director of the Chemistry Department. 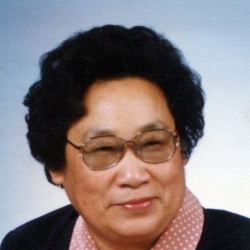 She also holds a chief professor position of CACMS as well as members of Phytochemistry Society of China Pharmaceutical Association; Chinese Society of Traditional and Natural Drugs; Council member and Founding Member of Chinese Association of Invention; Executive Committee of All-China Women's Federation (1988-93) and a committee member of Beijing Committee of Natural Science Foundation (1995-97). Tu’s research on anti-malaria drugs started in 1969 when she was appointed to head the Project 523 research group at the institute. Project 523 was a secret military program initiated by the Chinese leadership in 1967 in supporting Vietnam government for searching medicines to treat anti chloroquine-resistant malaria. Tremendous efforts had been made both in US and China but no effective drugs were found by the time Tu accepted the task. Tu started with collection of over 2000 candidate recipes from which she and her team later screened over hundreds of herbal extracts. Only one of the extracts from Qinghao (Artemisia annua L.) showed some promising effect, which however was not consistent and reproducible. Tu further reviewed all available tradition Chinese medicine literatures and noticed a paragraph “Take a handful of Qinghao, soak in two liters of water, strain the liquid, and drink” in the Handbook of Prescriptions for Emergencies (340 CE) authored by Ge Hong. She realized that the heating applied during extraction might have damaged the active components in the herb. With this in mind, Tu re-designed low temperature extraction approaches using the solvents with low boiling points. On the 4th October 1971, a neutral ether extract numbered 191 was found 100% effective in clearing Plasmodia in the mice and monkey test models. To prove safety of the Qinghao extract and expedite the project, Tu and other two colleagues volunteered in the toxicity study on themselves in July 1972. Between August and October 1972, Tu and her team carried out the first clinical trial in southern China in which all thirty-one patients treated with the Qinghao extract recovered from the disease. Subsequent to the first clinical trial, Tu and her colleagues further purified the extract and obtained a pure active crystalline in November 1972. The compound was late named Qinghaosu (Artemisinin). Over last several decades, Tu has continued her effort in fighting against malaria. She and her colleagues developed artemisinin into a medicine and late the team further developed dihydro-artemisinin, another anti-malaria drug, which is ten fold more effective than artemisinin itself. Tu’s achievement in the discovery of artemisinin and its application in the malaria treatment as well as her unanimous contribution to the healthcare of human being have been well recognized nationally and internationally. She was honored the Lasker ~ Debakey Clinical Medical Research Award in 2011. Tu also received numerous awards nationally which include “Award for Progress in Anti-malarial Research Achieved by Project 523 Scientific Team” honored by China National Congress of Science and Technology (1978); “National Scientific Discovery Award” for Anti-malaria Drug-Qinghaosu by the China Ministry of Science and Technology (1979); “Invention Award” (as the first inventor) by China National Congress for Awards in Science and Technology (1982); “Award of Young and Middle-aged Experts with Outstanding Contribution” by the Chinese Government (1984); “The Top Honorary Award” by China Academy of Traditional Chinese Medicine (1992); “The Top Ten National Achievements for Progress in Science and Technology” by China National Committee of Science and Technology (1992); “First-Class Award of National Achievements in Science and Technology” by China National Award Committee for Advances in Science and Technology (1992); “National Model” by China State Council (1995); “Award for Outstanding Achievement in Traditional Chinese Medicine” by Guangzhou Zhongjing Award Foundation for Traditional Chinese Medicine (1995); “Outstanding Scientific Achievement Award” by Qiu Shi Science and Technologies Foundation of Hong Kong (1996); “Top Ten Health Achievements in New China” by China Ministry of Health (1997); “Female Inventor of the New Century” by China National Bureau of Intellectual Property (2002); “Golden Medal of the 14th National Invention Exhibition” by China National Bureau of Intellectual Property (2003); “Award for Development of Chinese Materia Medica” by Cyrus Chung Ying Tang Foundation, (2009). She also received “Prince Mahidol Award” by Thailand Prince Mahidol Award Foundation (2003), “GlaxoSmithKline Award for Outstanding Achievements in Life Science” (2011), Lasker~DeBakey Clinical Medical Research Award(2011), and the Nobel Prize in Physiology or Medicine(2015). I would like to express my sincere appreciation to the Warren Alpert Foundation and Harvard Medical School for awarding me such a great honor. For me, this award is not only an honor but a responsibility.